Where the locals drink more beer per capita than anywhere else in the world. It’s the home of Pilsner and Beer is cheaper than water on most menus. 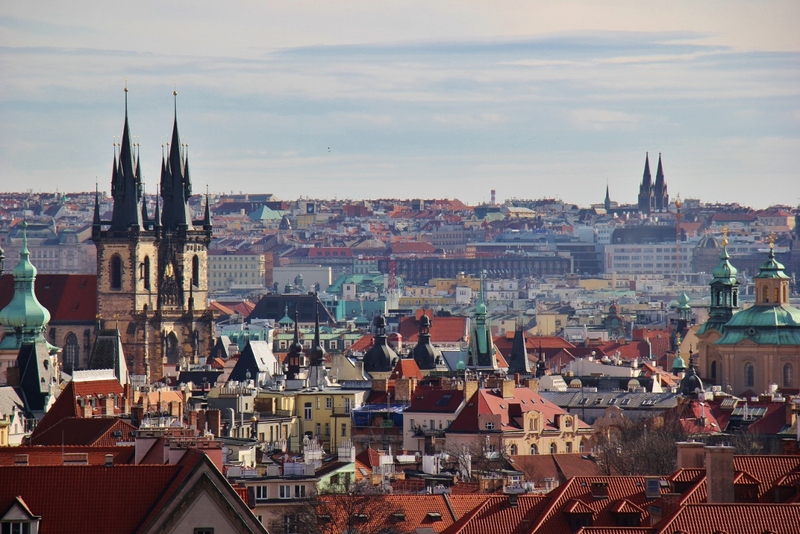 If beer isn’t for you, that’s okay, Prague has a myriad of other things to offer. Did you know it has a Graffiti Wall devoted to John Lennon, even though John Lennon never visited Prague? The “John Lennon Wall” sits in a quiet corner near the Charles Bridge and is regularly filled with changing portraits, Beatles lyrics and messages from tourists (yes, you can still write on it!). If you are a Beatles fan or a fan of street art, you should stop on by. Prague is quite an architectural digest as it contains all different kinds of construction styles. You can find everything from Pre-Romanesque to Modern (be sure to check out the Dancing House, which was inspired by Fred Astaire and Ginger Rogers). Also, Czech architects were the first and only ones to design original Cubist buildings. If you are a fan of this style, you can find the buildings in downtown Prague or in the Vyšehrad area. Another point of interest is Prague Castle, which is listed in the Guinness Book of Records as the biggest historical castle in the world. Don’t forget to check out the Church of St. James in Old Town. Make sure you look up! There’s a 400-year-old mummified human hand above the entrance. It’s the hand of a thief, so be sure to be on your best behavior during your visit! 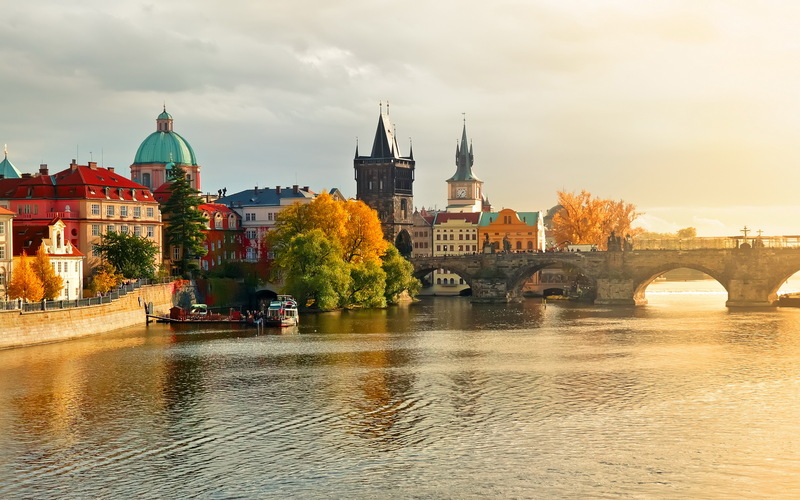 Taking a stroll across the Charles Bridge is a must-do your first time in Prague. The bridge and the statues that line it have a lengthy and interesting history. The bridge was commissioned by Charles IV in 1357, as the previous bridge was washed away by floods in the 12th century. Despite occasional flood damage, the new bridge, named “Stone Bridge” prior to the 19th century, was open to wheeled traffic for 500 or so years before it was made pedestrian friendly after WWII. The first monument on the bridge was constructed in 1657, and others quickly followed until the 20th century. Many statues were replaced with replicas over time as they were made with soft sandstone. Since the Charles Bridge is so notable, crowds can be a challenge. We recommend you head to the bridge around dawn to get the most out of your walk (and it makes for beautiful photos!). The newly opened alchemical laboratories of Speculum Alchemiae were discovered during the recent 2002 reconstruction of one of the oldest historical buildings in Prague. Back in the days of Rudolf II, this house in Hastalska street No. 1 was located near the most important European trade route that ran from Spain to the Far East. Naturally, it became an herbal pharmacy as it was a convenient stop for traders of exotic goods and information. In the 16th century, Rudolf II established his alchemical laboratory in the basement and invited many famous alchemists from around the world to create the Elixir of Eternal Youth. They kept the cover of “Herbal Pharmacy”, as Rudolf II didn’t want the township to know of his laboratory. He went so far as to create tunnels that run under the entire city so he could walk in secret from Prague Castle to the laboratory. Over the centuries, the house has undergone several changes and reconstructions. It was one of the few house preserved during the redevelopment of the Jewish Quarter, which history has not clearly documented why it was removed from the plans. 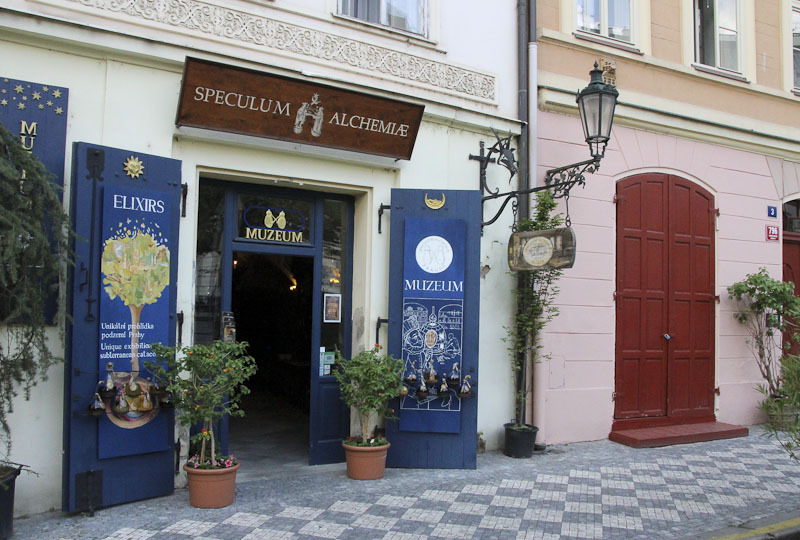 You can tour the alchemist workshops, laboratory and mysterious catacombs at Speculum Alchemiae for 200 CZK per person. The tour is about 30 minutes long and can be offered in multiple languages. +The Astronomical Clock - It’s the oldest working one in the world! The Clock is on the side of the elegant Town Hall tower. You won’t miss it going off - large crowds tend to form at the top of every hour! 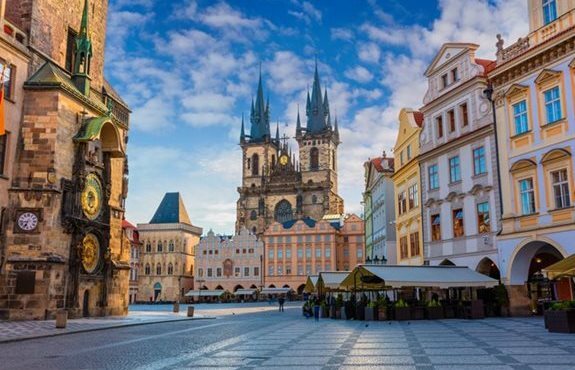 +Tyn Church - The twin towers of this powerful looking Gothic church can be seen from all over Prague, but you can get up close and personal at Old Town Square. Although the church dates back much further, the present structure was founded in 1385 as the main church of Old Town. Legend has it that the Tyn Church towers gave Disney the inspiration for the Sleeping Beauty Castle. This is, officially, the oldest church in Prague. Looking to grab a bite somewhere off the Square? Head to Restaurant U Golema (Maiselova 62/8, 110 00 Josefov, Czechia) for an authentic Czech meal at nearly local prices. Be sure to seat yourself, and when you need a refill on your beverage, put out a coaster to notify the waiter (this is the custom at most restaurants in Prague!). You may find yourself walking along the River Vltava and wondering what that object upon the hill of Letna Park is. It’s well worth the hike! The Metronome, a 75ft red structure constructed in 1991, is referred to by the locals as a “symbol of democracy” as the idea behind it was to connect Prague’s past, present and future with kinetic energy. Take a seat at the base of the Metronome and enjoy the panoramic views of the city center. Stroll through Letna Park after you’ve taken in the vistas for a quiet and beautiful escape from the busy city.